On Friday the High Court handed down its decision in the case of Plaintiff M47/2012 v Director-General of Security and Others. The full decision is dense and complex, and runs to more than 130 printed pages, but the High Court has a useful summary on its website. One of the issues in this case was the Government’s ability to detain people (for an indefinite period) on the basis of an adverse security assessment from ASIO. It was also about whether the process by which ASIO assessed M47 (as he is known to protect his identity) is fair. On the first count, the court declined to revisit its decision in the 2004 case of Al-Kateb v Godwin that the Government can indeed detain people indefinitely even when there is no reasonable prospect of removing them from Australia. There are several possible reasons why removal may not be possible or practicable. In Al-Kateb’s case, it was because he was stateless. M47 cannot be deported because he is a former member of the Liberation Tigers of Tamil Eelam who faces abduction, torture or death in Sri Lanka. In addition, Australia has been unable to find another country to take him in the past couple of years, and it seems unlikely that it will (although Friday’s judgment reveals that it is still searching). However, two of the judges in M47’s case suggested that we should not detain anyone indefinitely in the absence of an explicit power to do so in the Migration Act 1958 (Cth). As former Chief Justice Gleeson explained in his dissenting judgment in Al-Kateb, we should not assume that Parliament intends to override fundamental human rights (such as personal liberty) by implication. Justice Gummow (who agreed with Gleeson CJ in Al-Kateb and maintained his position in M47) said that, if it is impossible in practice to remove someone from Australia, the power to detain pending removal in section 189 of the Migration Act should be suspended. Justice Bell also thinks Al-Kateb should be revisited. Both Gummow and Bell JJ note that, in the case of someone who might pose a risk to the community, the court could grant release with special conditions. The Government acknowledges that this may be relevant in some upcoming immigration cases. 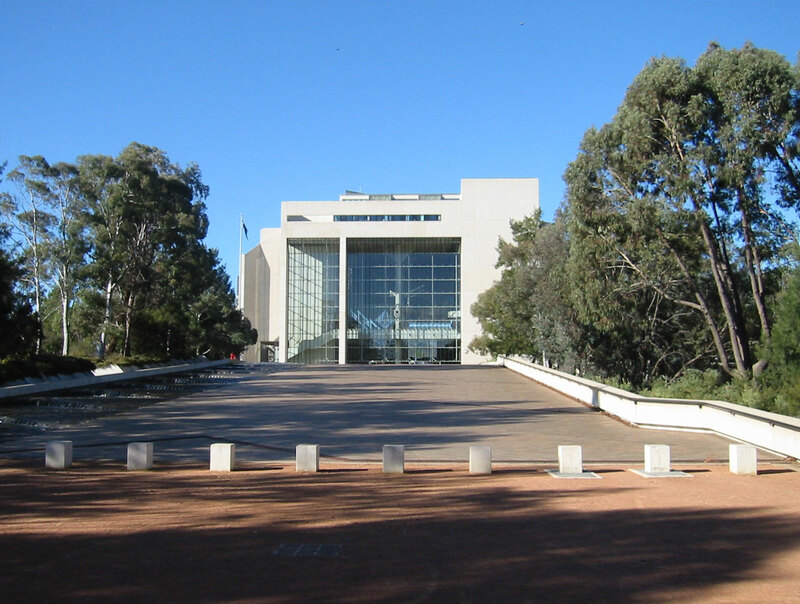 On the second count, the court found that ASIO’s security assessment of M47 was procedurally fair, because it gave him a chance to state his version of events in an interview. So why is it being reported that this case was a win for the plaintiff? The decision to refuse M47 a visa was made under regulations – specifically the Migration Regulations 1994 (Cth). Even though M47 has been found to be a genuine refugee, the regulations say he cannot be granted a protection visa for ‘public interest’ reasons if ASIO assesses him to be a security risk. The Plaintiff also asked the court to determine the validity of these regulations. The problem for the Government is that regulations rank one level lower than an Act in the legislative instrument hierarchy, and if they are inconsistent with an Act, what the Act says prevails. In M47’s case, the majority found that the relevant provision of the Migration Regulations (clause 866.225 of Schedule 2) was in fact inconsistent with the broader system in the Migration Act for refusing protection visas on security grounds. The regulations effectively place the power to refuse a protection visa in the hands of ASIO officers. Under the Migration Act, this is supposed to be the Minister’s responsibility (see in particular section 502). ASIO assessments are based on different criteria from character assessments made under the Act, and do not necessarily reflect the grounds for refusing protection under the relevant articles of the Refugees Convention (articles 1F, 32 and 33(2)). Importantly, the merits of adverse ASIO assessments are also unreviewable, whereas a decision by the Minister to refuse a protection visa can be challenged in the Administrative Appeals Tribunal. Friday’s judgment means that the decision to refuse M47 a protection visa was invalid, which may have implications for the whole group of Tamils in immigration detention who have been denied visas in controversial circumstances. However, the court was quite clear that M47 could still be detained under the Migration Act while the Government gave fresh consideration to his visa application. The Committee recognises the need to protect national security, and does not doubt that ASIO is highly discriminating in the use of adverse security assessments. However, the Committee resolutely rejects the indefinite detention of people without any right of appeal. Such detention, effectively condemning refugees who have not been charged with any crime to detention for the term of their natural life, runs counter to the basic principles of justice underpinning Australian society. For this reason, the Committee urges the government to find a solution which will protect national security whilst also protecting the rights of refugees under international law. The Committee recommended “that the Australian Security Intelligence Organisation Act be amended to allow the Security Appeals Division of the Administrative Appeals Tribunal to review the Australian Security Intelligence Organisation security assessments of refugees and asylum seekers” (recommendation 28). The Government has already hinted that it might need to amend the Migration Act in light of Friday’s decision, and it had previously praised the Committee’s report as a “substantive and considered” contribution to the debate. The Government has also specifically stated that it believes there should be a proper independent review process for those who remain in detention due to adverse security assessments. Since it will now have to revise the legislative scheme for taking these assessments into account, it has the perfect opportunity to make good on its intentions. Previous Post Previous post: Alan Jones campaign: is it censorship? Next Post Next post: Torture Inc: how far do corporate interests stretch when human rights are at stake? Good blog! I actually like how it is cozy on my orbs and the data are well written. I’m wondering how I might be notified whenever a untried dispatch has been made. I have subscribed to your RSS which want do the prank! Hold a grand period! “Reputation is what alternative people recognize about you. Respect is what you know about yourself.” by Lois McMaster Bujold.